You will surely feel festive wearing a colorful traditional Russian apron when cooking, cleaning, or gardening! 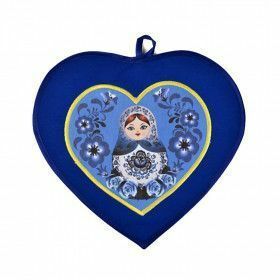 Beautiful and practical aprons and accessories are right here for you, all the way from Mother Russia. Be sure to check out these Russian magnets too!